Gearing up for our Zombies film shoot! This weekend, we’ll be filming the video elements of our upcoming game, Zombies Ate My City. Zombies Ate My City is a new gaming experience and will be released in two parts – a phone based experience and a separate, but complimentary, web based experience. Part one will be the phone app, launching on Windows Phone later this year. The phone game will entrust players with messages from the future, indicating how they can stop a zombie invasion. Players will compete in their own towns and cities to complete levels and the app will combine location based “check-ins” with game play to create a unique experience. This weekend, we’ll be filming the video elements for the phone experience. We’ll be shooting on the Isle of Dogs this Saturday morning, 11am – 2pm. If you’d like to be involved, please fill out the application form here. We’ll give you a credit in the app too, just in case your friends and family don’t recognise you! We’ll also reward the best zombie-like outfit with 4200 Microsoft Points for you to spend on Zune or on Xbox Live and we may have a few other things to give away. The scripts for the app were completed last week (during a three day hothousing session) and the filming – this weekend – will be made up of three elements – The mission videos (featuring our actor, Graham Vick, who plays our mad scientist), some comedic “tips” videos telling players how to survive a zombie invasion, and some pre-game comedic videos with zombies invading a city. 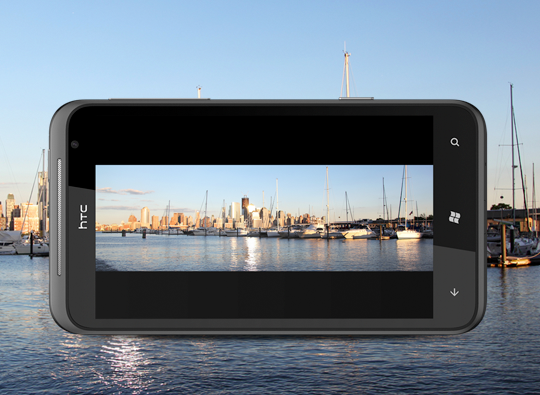 We’ll actually be shooting the whole experience on one of the brand new Windows Phones, the HTC Titan. I’ve had one for a couple of days on loan and it has a phenomenal camera… It has an 8 megapixel camera with F2.2. lens and BSI sensor and is producing some really impressive shots, even in low light (and the flash is brilliant too, it doesn’t overpower the shots). It’s awesome. Of course, it shoots in HD too. I’m looking forward to seeing how the footage comes out. We’ll follow up with some on-set footage this weekend!